KIEV, April 10. /TASS/. 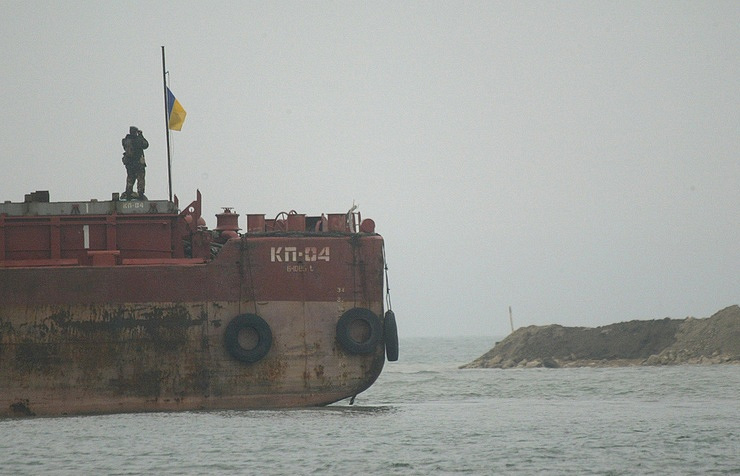 Ukraine has arrested a Russian dredge ship in the Odessa region under a case of illegal sand extraction, Tatiana Tikhonchik, a spokeswoman for the so-called Crimean prosecutor’s office (part of the Ukrainian prosecutor general’s office), told TASS on Tuesday. «On April 10, 2018, the investigating judge upheld a motion of the Crimean prosecutor’s office and arrested a ship owned by a Russian trespasser company, which is currently staying at the port of Yuzhny in the Odessa region,» she said. 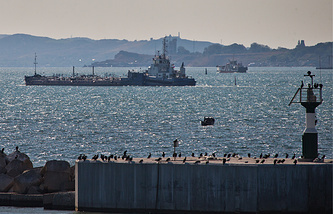 Ukraine’s Prosecutor General Yuri Lutsenko wrote earlier on his Facebook account that the prosecutor’s office was probing into the case of illegal sand extraction in the Black Sea’s Karkinit Bay «on temporarily occupied territories.» «It has been found out that sand extraction is carried out by a dredge ship owned by Trans Services Maritime Co., with a home port in Russia’s Tuapse,» Lutsenko wrote, adding that sand «is used for illegal construction» near Kerch.